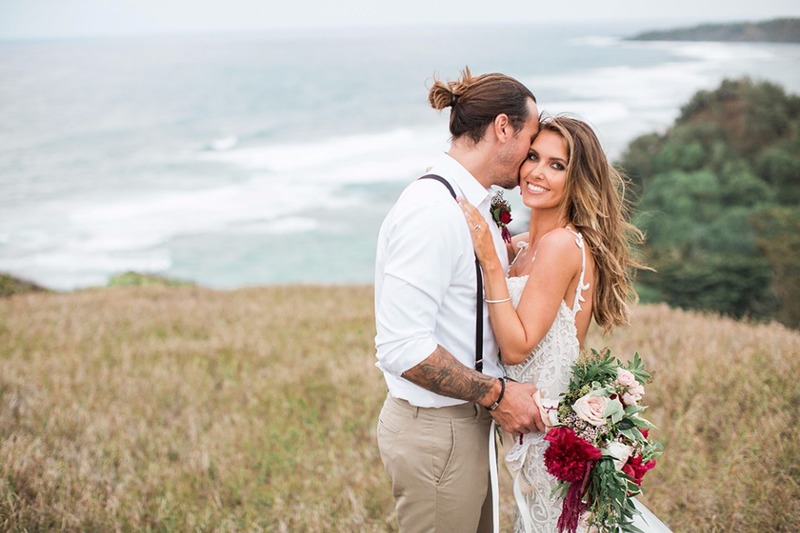 If you also grew up watching MTV's Hills, then you are a huge fan of down to earth, Audrina Patridge. Obviously she has gone on to better and bigger things, like have a beautiful baby and marrying her long time beau, Corey Bohan. 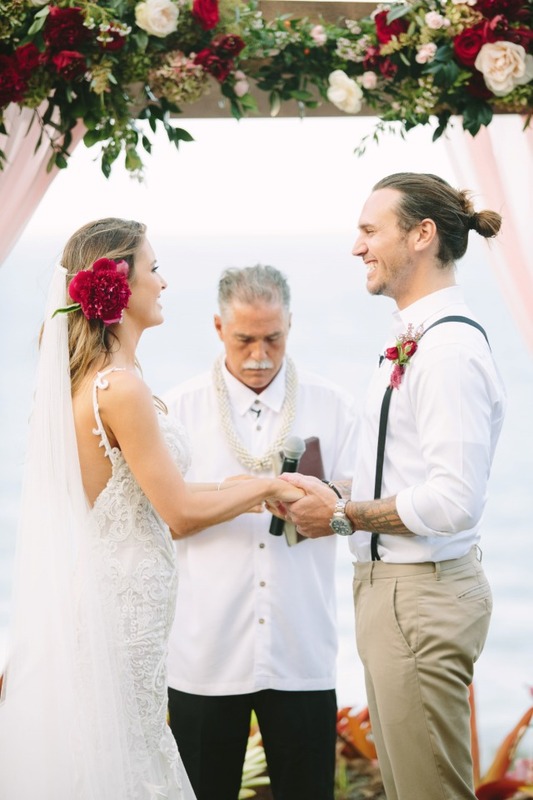 The two had a picture perfect garden wedding amongst their closet friends in Kauai. You can see every last detail in the full gallery here. 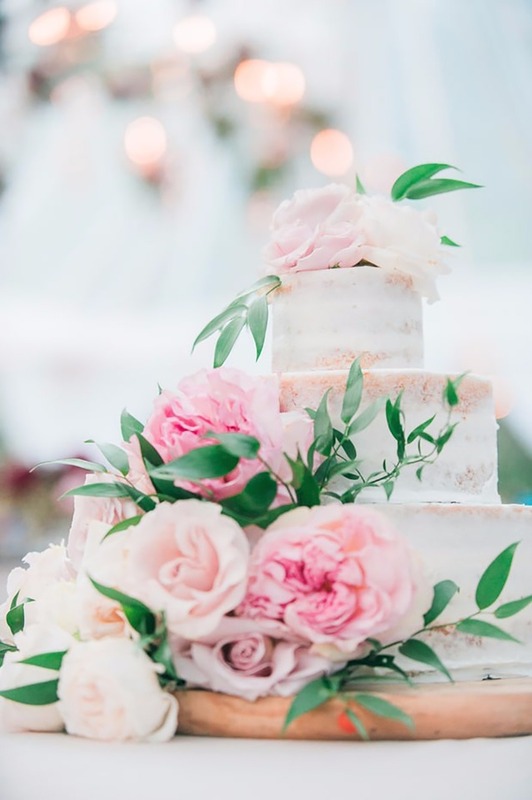 All Photographed by Jana Dillon Photography and designed by Moana Events. Now keep scrolling to check out all the breathtaking details. 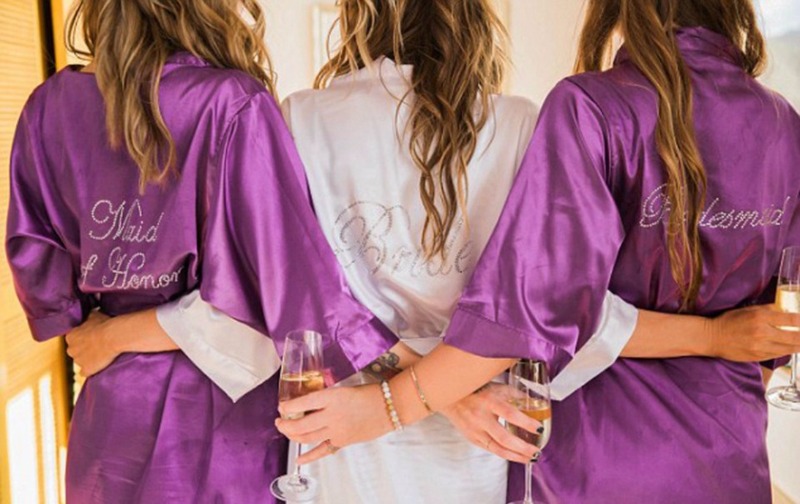 Although Audrina's bridesmaids did not wear Lauren Conrad's bridesmaid dresses and opted for an equally as lovely choice by Jenny Yoo. Each of her ladies looked perfect in their floor length flowy chiffon dresses. 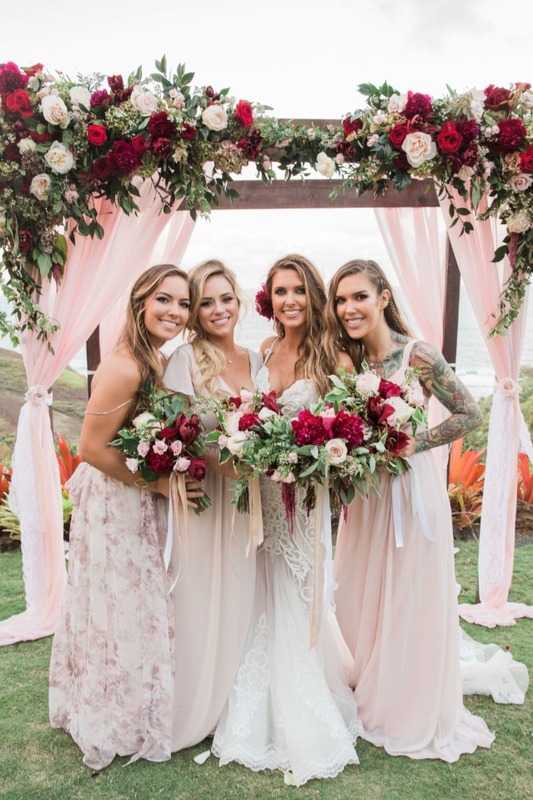 You can see their bouquets by Steven Boyle Designs in the full gallery here. 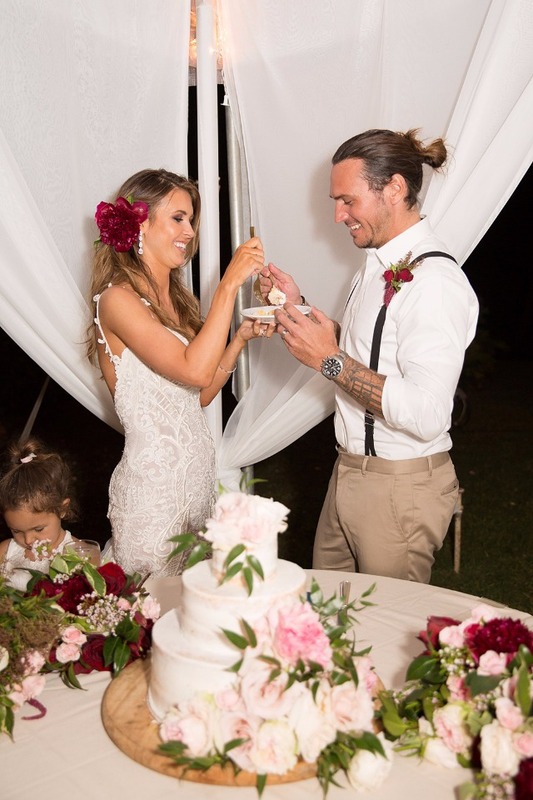 Audrina Patridge's custom boho chic wedding dress was designed by Pallas Couture. 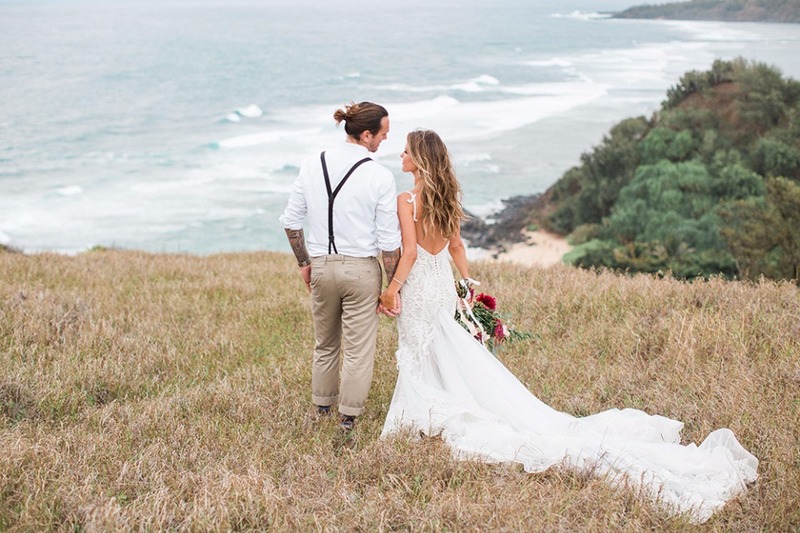 This relaxed yet romantic wedding gown was made of French Chantilly lace along with heavy rope accents which were all applied by hand. 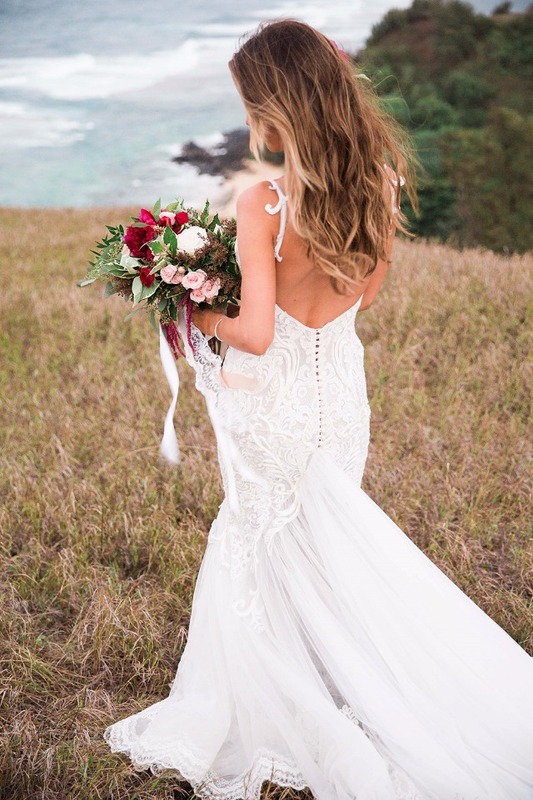 Interestingly enough Audrina only meet with fashion designer Joy Morris via skype to discuss the details of her gown. 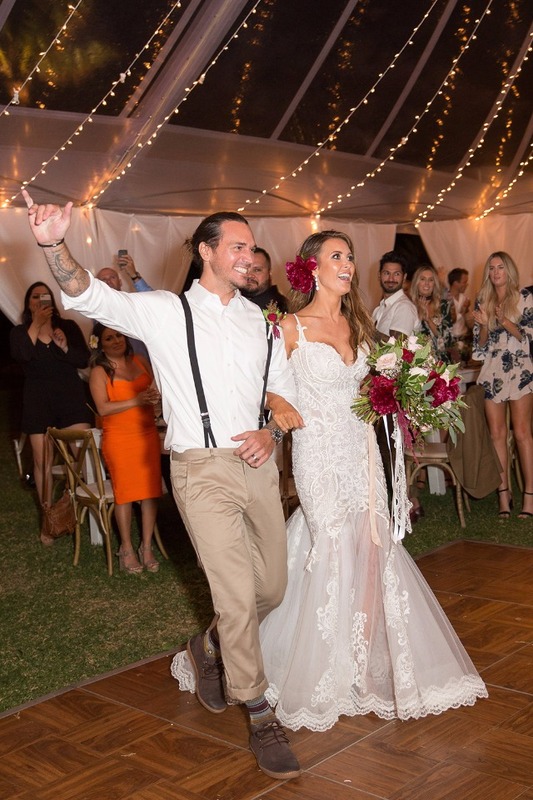 With only six weeks till the wedding, the team at Pallas Couture went to work and created her gown by using a dummy with Audrina's measurements. 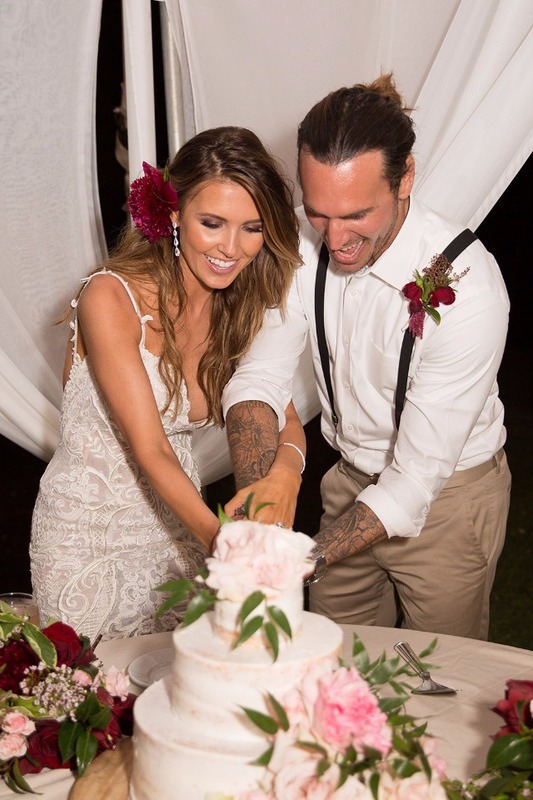 Since Audrina and Cory just welcomed their first baby in June, her body as still fluctuating in size, so they all hoped for the best. 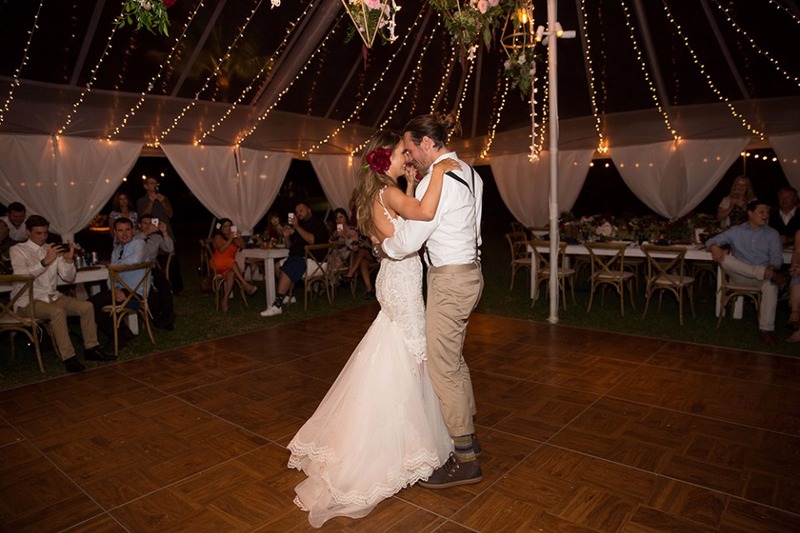 As you can see the dress fit perfectly and Pallas Couture did an amazing job! 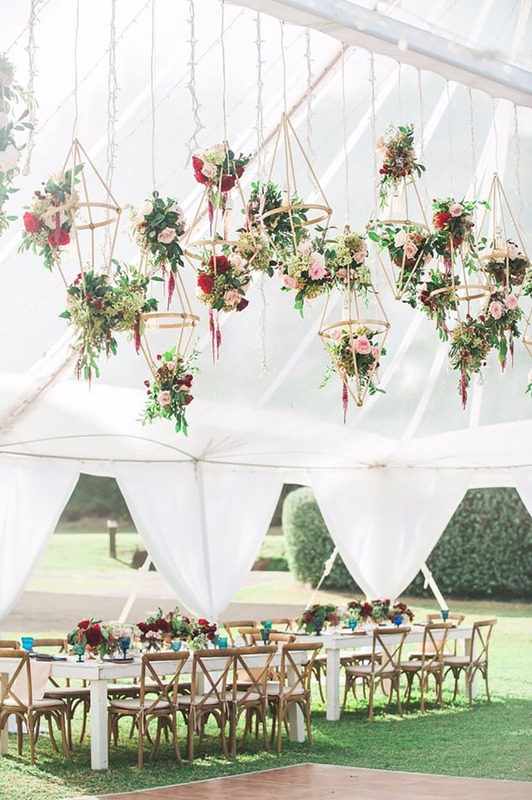 Steven Boyle Designs decorated the outdoor tent with hanging wooden chandeliers adorned with florals. 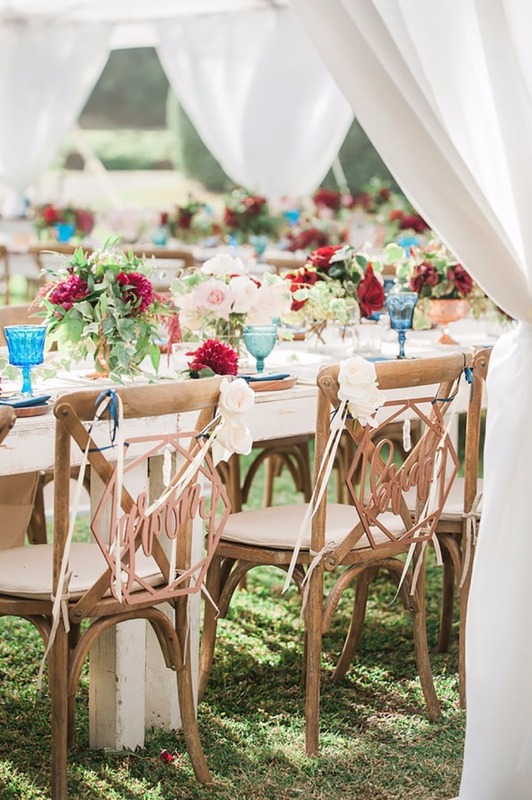 Distressed white farm style tables paired with cross back chairs added to the boho chic vibe Audrina and Corey were going for. 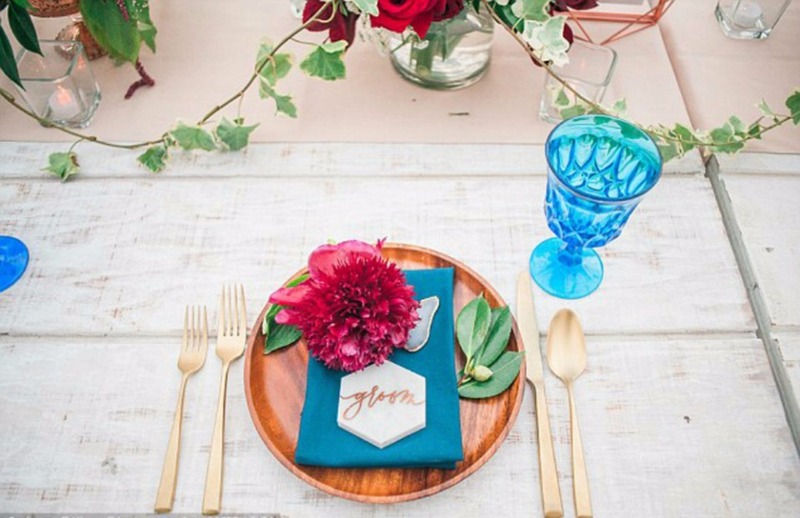 The tables were topped with small free flowing floral arrangements paired with teal glasses and gold cutlery. 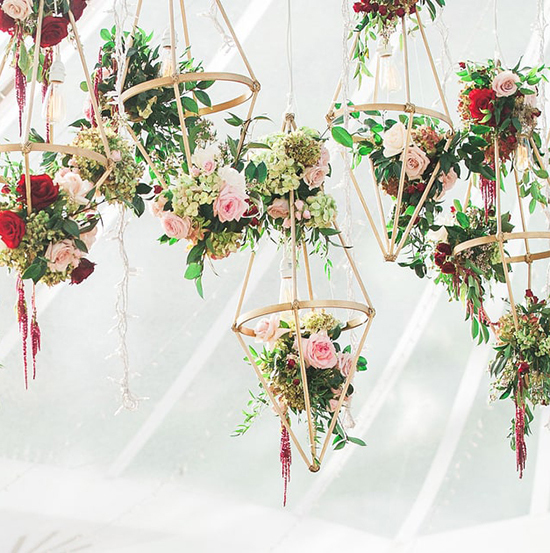 See more of the reception details in the full gallery. 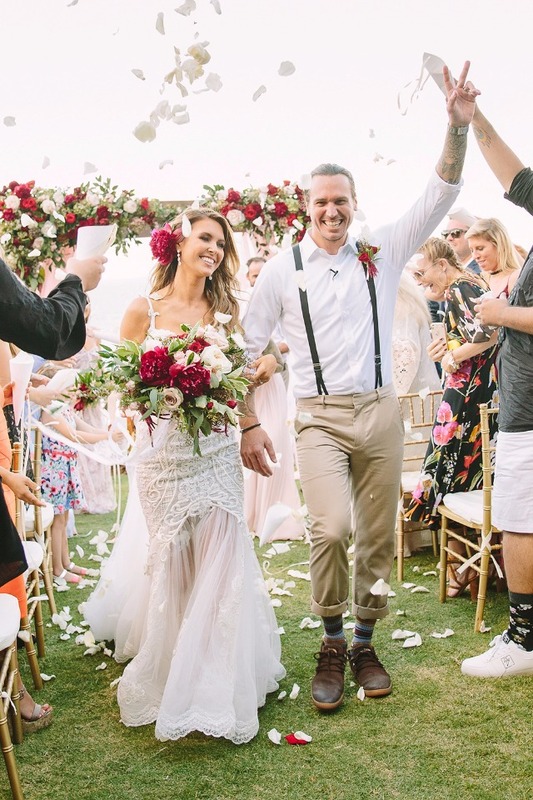 Obviously we love Audrina's wedding, but we love most of all is that you too can have a wedding just like hers. 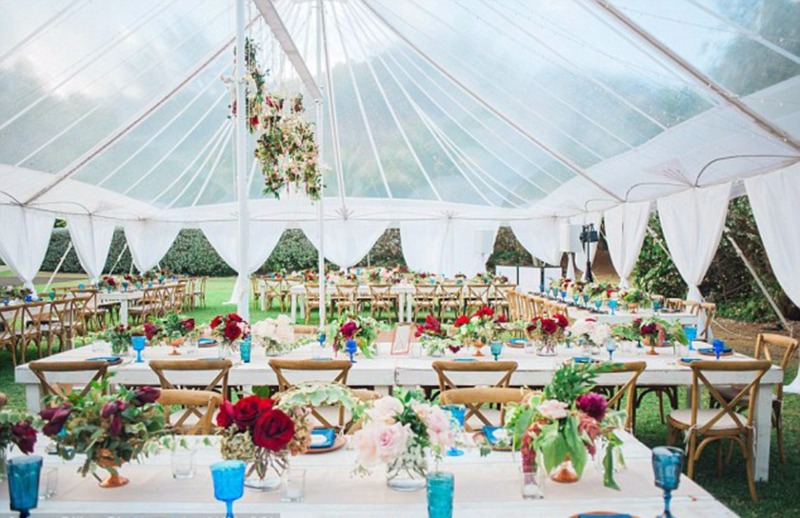 All of her wedding vendors are below, and design weddings for the non celebrity couples just like all of us.